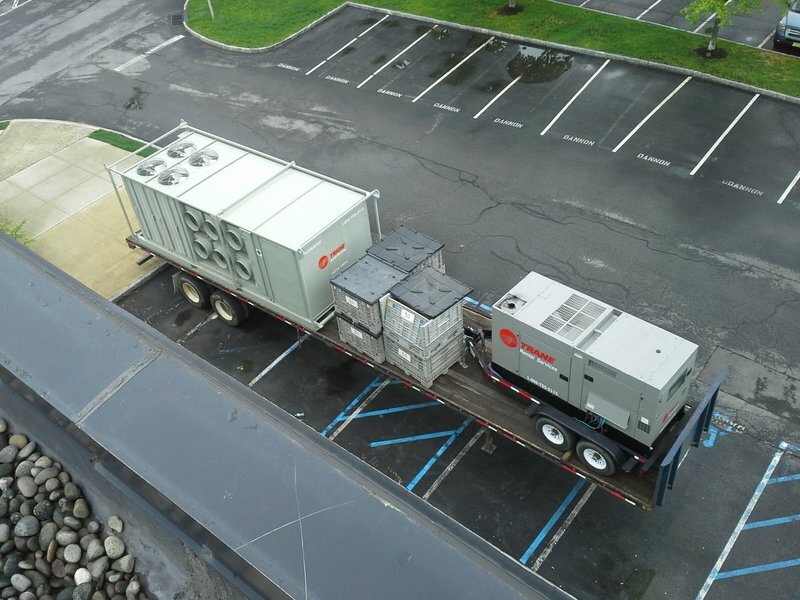 The story we have today is a good outline for an Effective Business Continuity Plan and contained within it are a couple really great related stories with links – one inparticluar has to do with generators and trying to get fuel to them during a storm like Sandy, more on that some other day! For today let me share a story about a different kind of Effective Business Continuity Plan one that envolves have a good Business Continuity vendor/partner. A prison looses it’s roof top HVAC (HVAC is short heating, ventilating and air conditioning) and prisons like modern office building hve NO opening windows, there is no way to ventilate them at all when the HVAC fails. This prision like all prison have very Effective Business Continuity Plans to deal with all kinds of thngs – the inmate population no matter what still needs to be feed, toliets have to work, air conditioning has to keep the building within guidlines and heating has to provide some warmth. Don’t forget about the Corrections Offciers they still have to do their jobs as well and the worse conditions get the more dangerous it becomes for them – unless you’ve spent time working in prisons like we have it’s hard to understand the dynamics of that environment. Anyway this prison’s roof top HVAC fails, the fan bearings go out and take out the fan, cage, pulleys – it’s just a mess everything if broken. This time of year depending on the day you could need air conditioning or you could need heat, last week it was 60’s and by the weekend it was 19 degress! To have an Effective Business Continuity Plan you need to understand what systems are necessary to keep operating and if you don’t know what to do if they fail you bring in your Vendor/Partner to evaluate what you have and have a written plan on file as to what types of equipment could be used in case one of these systems fails. In this case having Paratus Rentals as your Vendor/Partner was having an Effective Business Continuity Plan. Paratus Rentals unlike many other rental companies does not rent “just air conditioners”, by that I mean a Paratus Rental air conditioner is really a rental roof top HVAC unit. Our 25ton, 35ton and 50ton rental HVAC units function exactly as the prisons broken HVAC unit did by providing cold air conditioning, hot air from an electric heat coil and an economizer to bring in fresh outside air. 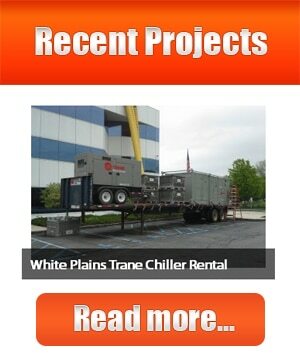 When you’re looking to make HVAC a part of an Effective Business Continuity Plan make sure the company you’re working with has RENTAL HVAC and not just rental air conditioning because what seems like bargin may cost you much more when it is time to change over from heat to AC or vice versa. If the other companies only has rental air conditioning they you will have to source rental heaters from them and pay for the removal and installation again – you one to create an Effective Business Continuity Plan call Paratus Rentals one time for all your needs 855-313-RENT! We rarely get a head’s up that a disaster is ready to strike. Even with some lead time, though, multiple things can go wrong; every incident is unique and unfolds in unexpected ways. This is where a business continuity plan comes into play. To give your organization the best shot at success during a disaster, you need to put a current, tested plan in the hands of all personnel responsible for carrying out any part of that plan. The lack of a plan doesn’t just mean your organization will take longer than necessary to recover from an event or incident. You could go out of business for good. Business continuity (BC) refers to maintaining business functions or quickly resuming them in the event of a major disruption, whether caused by a fire, flood, epidemic illness or a malicious attack across the Internet. A BC plan outlines procedures and instructions an organization must follow in the face of such disasters; it covers business processes, assets, human resources, business partners and more. Many people think a disaster recovery plan is the same as a business continuity plan, but a DR plan focuses mainly on restoring IT infrastructure and operations after a crisis. It’s actually just one part of a complete business continuity plan, as a BC plan looks at the continuity of the entire organization. Do you have a way to get HR, manufacturing, and sales and support functionally up and running so the company can continue to make money right after a disaster? For example, if the building that houses your customer service representatives is flattened by a tornado, do you know how those reps can handle customer calls? Will they work from home temporarily, or from an alternate location? Companies such as SunGard sell access to cubicles that include a desk, phone and computer in their recovery centers, along with server- and device-based DR services….